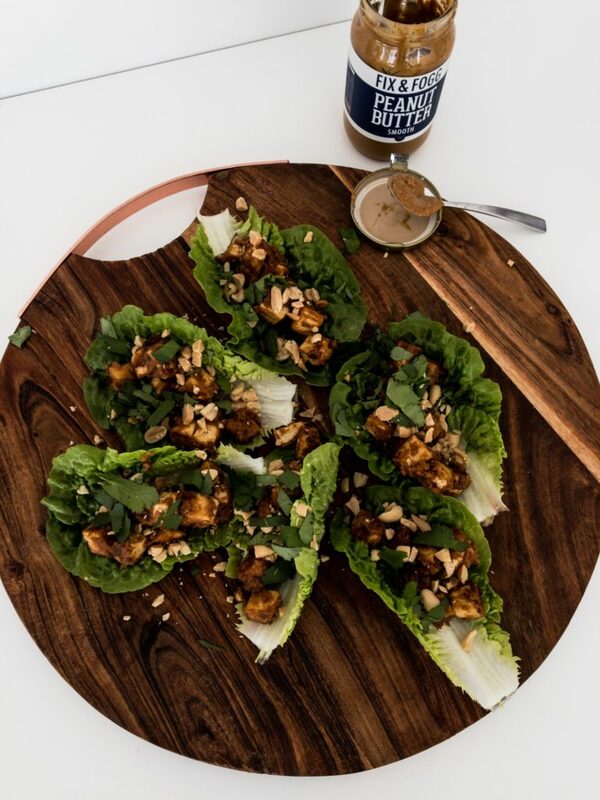 ﻿ Spicy Peanut & Tofu Lettuce Wraps - I AM Co. So this have to be the easiest & scummiest plate of finger food ever!! Whip these up in 15 minutes and you have a nourishing, nutritious meal that actually keeps you full. We’re HUGE fans of anything that can be wrapped in lettuce and whats not to like here with the addition of Fix & Fogg Peanut Butter!! Did we mention they taste aaaamazing? 1. Press as much liquid out of the tofu as you can and cut into small dice. 2. All all the ingredients for the sauce into a food processor and blitz until smooth. 3. Heat coconut oil in a pan over a medium high heat. Once hot, add your diced tofu and fry until golden brown. Add the sauce and cook for a further 2-3 minutes. The sauce will thicken and form crispy bits, this is the best part! Transfer to a plate. 4. To plate, arrange lettuce cups on a large serving board, fill with tofu mix and sprinkle with peanuts & coriander. Add a squeeze of lime and extra sriracha if you desire. YUMMMMMMMM!